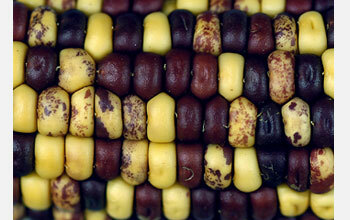 Mobile pieces of DNA affect kernel colors of this 1949 ear from the McClintock collection. Maize has long served as a model organism for studying genetics because many of its important genetic traits are expressed in kernels, and so are easily observed. While studying maize genetics more than 60 years ago, Barbara McClintock discovered mobile pieces of DNA, called transposable elements. 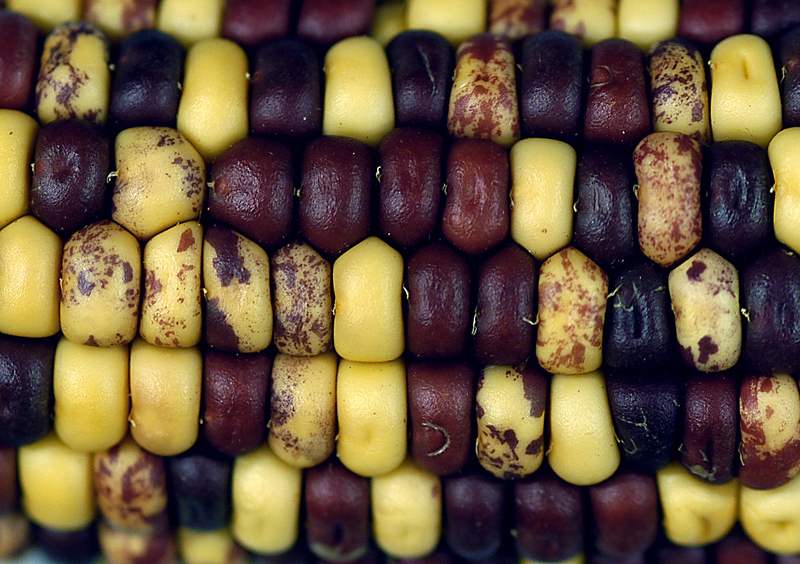 Transposable elements affect the color of maize kernels and are responsible for the purple-colored sectors and spots shown in this 1949 ear of maize from the McClintock collection. Credit: Robert Martienssen, Cold Spring Harbor Laboratory.